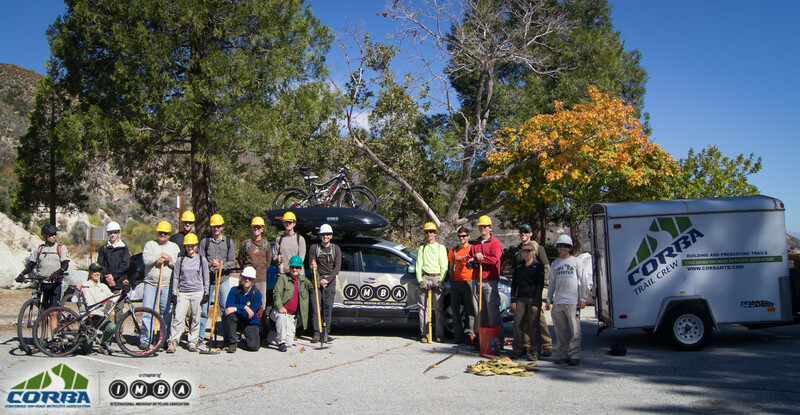 The weekend of October 20, together with the Mount Wilson Bicycling Association, CORBA hosted the IMBA Trail Care Crew for a visit to the Angeles National Forest. By all measurements, the visit was a great success, even as over 180 volunteers, 30 of them from CORBA, helped build trails in the Conejo Open Space on a conflicting event. Jesse and Lori, natives of Missouri, are six months into their two-year tour as the IMBA Trail Care crew. 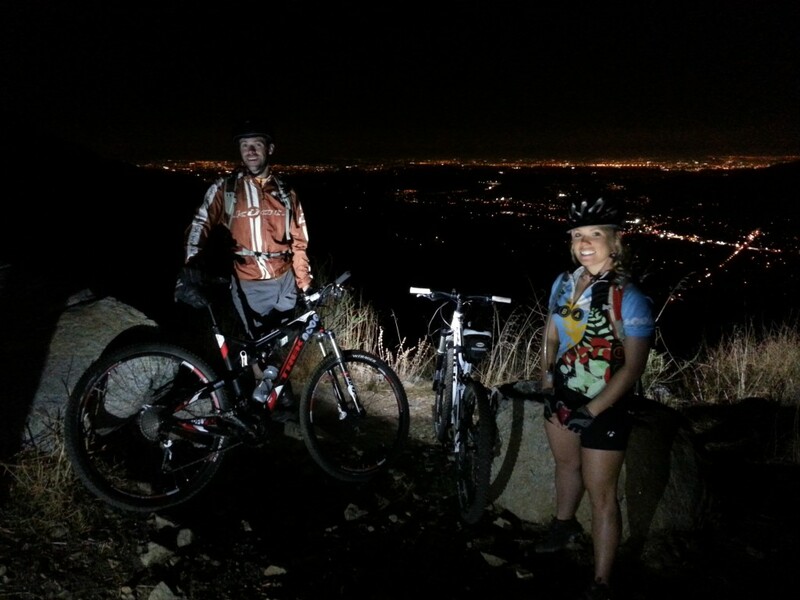 Their visit to the San Gabriels started with a Thursday Night ride on the most recently re-opened singletrack trail in the San Gabriels, the Rim of the Valley Trail on Mount Lukens. 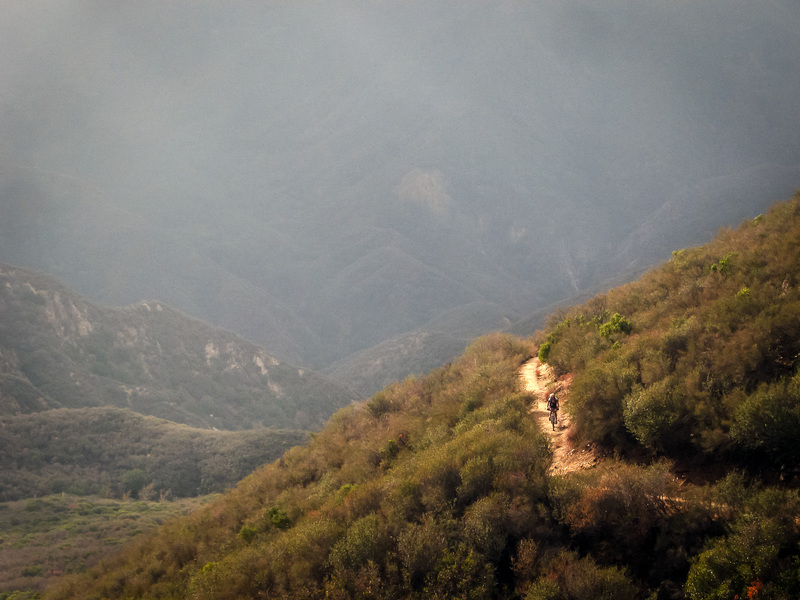 This trail has undergone extensive restoration by a dedicated crew of City of Glendale volunteers, with earlier work done by CORBA’s former Trail Crew leader, Hans Kiefer a professional trailbuilding contractor and owner of Bellfree Contractors. The trail was in the best condition it has ever been in, aside from a burnt and mangled bridge near the bottom. The volunteer crew were able to cut a narrow trail around the bridge, though for most it will be a hike-a-bike. 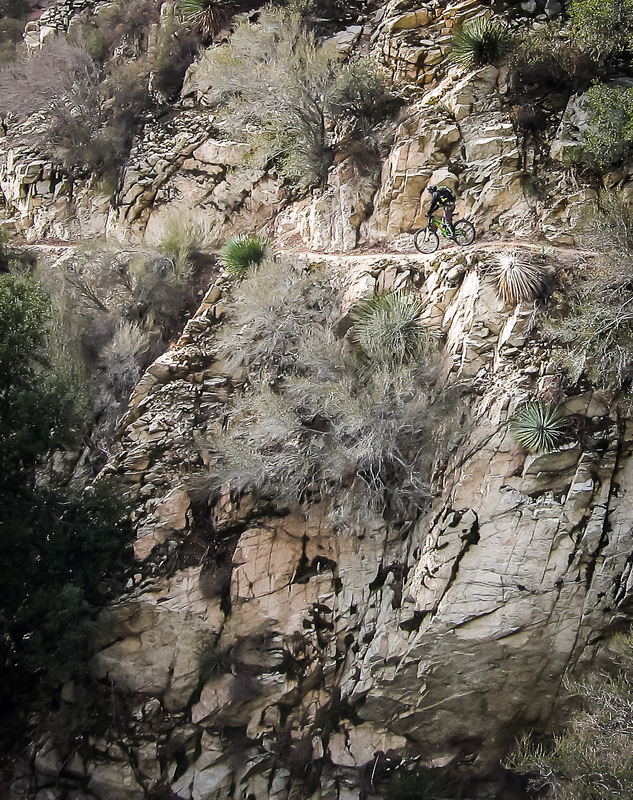 It’s a steep trail, with lots of very tight switchbacks and cliff-side exposure, definitely not for everyone. Friday, October 19, day two of the visit, Steve Messer, and the TCC’s Jesse and Lori were joined by Gabriel Wanderley who is touring the country to learn about trail issues to take back to his native Brazil. 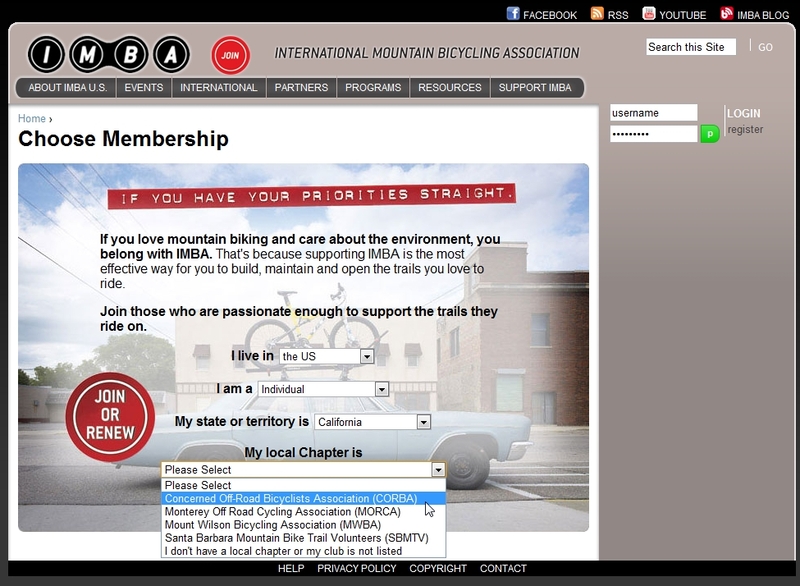 He is hoping to get IMBA Brazil up and running over the coming year, expanding IMBA’s international presence. The four went up to Strawberry Peak Trail, for which CORBA has received a generous grant from REI to help rebuild, to map out a re-route. Messer had previously hiked the general corridor of the re-route with the Forest Service archaeologist, after the previous planned re-route was found to pass through a sensitive area. As the crew familiarized themselves with the terrain, the general route was marked and rough-flagged in prep for the following day’s class. Our friends at the Tehachapi Mountain Trails Association will be hosting the IMBA Trail Care Crew in November. 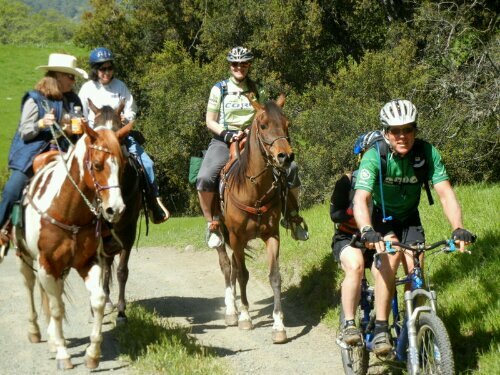 They are a group of non motorized trail users from the greater Tehachapi California area trying to make life better by providing more trails to more people in our own back yard. 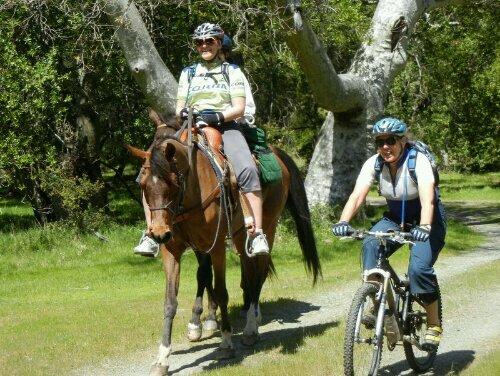 On Friday Nov 18th at 4:00 PM the Trail Care Crew will be presenting “Better Living Through Trails” in the Golden Hills Community Services District meeting room. The address is 21415 Reeves Street, Tehachapi, CA 93561. 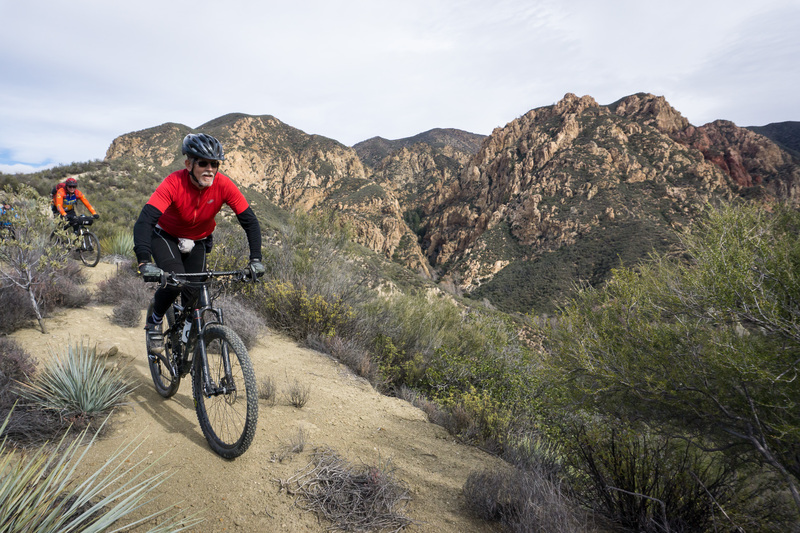 After IMBA’s Better Living Through Trails presentation they plan to begin the discussion of creating a cohesive greater Tehachapi area trails plan. They have confirmation from Kern County supervisor Scrivner’s office, Kern County Parks, possibly Kern County Roads, Golden Hills CSD, Stallion Springs CSD, Alpine Forest Board, City of Tehachapi, Tehachapi Parks Dept, and the National Park Service’s Rivers, Trails and Conservation Assistance Program. 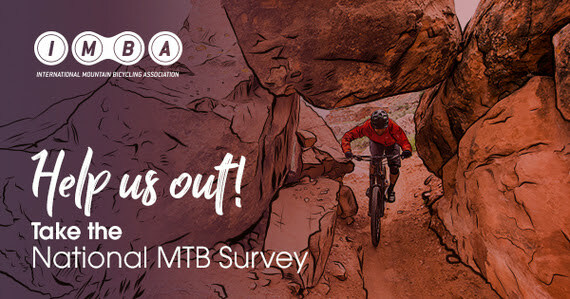 The IMBA trail skills college is scheduled to start the next day Nov 19th in the same meeting room at 9:00 AM with the hands on portion to take place in Tehachapi Mountain Park that afternoon. CORBA members, supporters and other concerned trail users, land managers are invited and encouraged to attend. 5:30pm – 7:30pm, WheelHouse – 528 Anacapa Street Santa Barbara, CA 93101. This presentation focuses on techniques that advocacy groups across the country have used to reach goals, overcome, challenges, and build up their community. Any trails, outdoor, environmental, or green based organization/non-profit will benefit from this workshop. Included will be ideas on sustaining boards of directors, recruiting members, and making sure that everyone has a great time participating in their organization. No cost and open to the public. The purpose of the presentation is to acquaint Land Managers, agency staff and committees, and private land owners with the language, terminology, contemporary trail design, sustainability, and system planning for successful trails. The presentation is a catalyst for an open discussion on sustaining multi-use trails, user management strategies, and trail user education (both mountain bikers and other users). Also discussed will be the effective use of volunteers for trail maintenance. * The Trail Building School is offered at no cost, but participants and potential crew leaders are asked to commit to three trail work events in 2011. Pre-registration is required. Register on IMBA website or register by email tochris.orr@sbmtv.org. Sunday March 6th, IMBA/SBMTV Social Ride. Contact me at chris.orr@sbmtv.org or 805.451.0459 for more information.